How a case about a snail gave power to modern consumers and launched a million lawsuits. This is the story of how our modern law of negligence came about all because of a fizzy drink. And a mollusc from Paisley in Scotland. The mollusc in question was a common snail that ended its days in a bottle of ginger beer. It made legal history in the 1932 case of Donoghue v Stevenson. It begins on an unremarkable Sunday evening on 26th August 1928. May Donoghue, a shop assistant, met a friend at the Wellmeadow cafe in Paisley, near Glasgow. Her unnamed friend ordered and paid for a pear and ice cream ginger beer 'float' for May. When the ginger beer was poured into her glass, it was alleged the decomposing remains of a snail dropped out of the darkened, opaque bottle. May complained of stomach pains, and a doctor diagnosed gastroenteritis and shock. But if you are thinking McDonalds, hot cups of coffee and big bucks compensation, think again. This is 1928. In those days, the common law only acknowledged a duty of care was owed to people harmed by the negligent acts of others in specific and limited circumstances. For example, this was the case where a contract existed between the parties, or where a manufacturer was making something dangerous, or acting fraudulently. 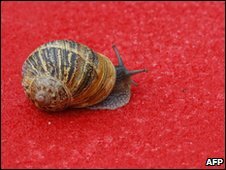 As the law stood, May Donoghue could not take legal action over her snail. As May's unnamed friend had paid for the drink, it meant May had not entered into a contract with the cafe owner. Clearly, neither May nor her friend had a contract with the manufacturer of the ginger beer. The latter had not committed fraud. And ginger beer could hardly be described as dangerous. To the rescue came one doughty and determined solicitor called Walter Leechman, who took up May's case. He had already brought two cases against another drinks manufacturer, AG Barr, alleging a dead mouse had been found in a bottle of their ginger beer. Leechman had lost both cases, but he went ahead and issued May Donoghue's writ against David Stevenson, the manufacturer of the ginger beer. The case went all the way to the highest court in the land. It was heard in the House of Lords on 10th December 1931, three years after May allegedly discovered the snail. Her counsel argued that a manufacturer who puts a product on the market in a form that does not allow the consumer to examine it before using it, is liable for any damage caused. Remember May could not have examined her ginger beer before drinking it because the bottle was dark and opaque. Lord Atkin of Aberdovey, one of the greatest judges of the twentieth century, was on the panel who heard the appeal. 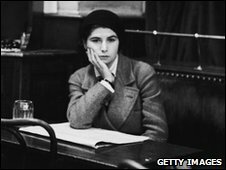 On 26th May 1932, he found in favour of May Donoghue and rose to give the leading judgment in the case. "The rule that you are to love your neighbour becomes in law 'You must not injure your neighbour'; and the lawyer's question: 'Who is my neighbour?' receives a restricted reply. "You must take reasonable care to avoid acts or omissions which you can reasonably foresee would be likely to injure your neighbour." And with those words the modern law of negligence was born. Lord Atkin based his judgment on the Christian principle of 'loving thy neighbour', and the parable of the Good Samaritan. This elastic term could now be applied to almost any relationship, in any circumstances. Among other areas, it covers personal injury, product liability, professional negligence on the part of doctors, architects and even lawyers themselves. For many, Lord Atkin's judgment was a noble principle based upon the Gospel of Luke. For others, it went too far, giving birth to our modern compensation culture. It has made many lawyers and insurance companies rich, but it has also seen the ill and injured compensated for losses caused by the negligent acts of others. In the original case, David Stevenson died less than a year after the Law Lords' decision, and his estate settled May Donoghue's claim to the sum of £200. But what, I hear you ask, of the snail itself? Its claim to fame was that it launched a million lawsuits. And it gave power to the modern consumer. Even though he avoided eating it, Ginsters apologized immediately, and sent £25 in compensation. The speed of their response was down to the Paisley snail. But to this day, no-one knows for sure if there ever really was a snail in May Donoghue's bottle of ginger beer. Clive Coleman's The Cases That Changed Our World is on BBC Radio 4 on Sunday 22 November at 2245 and Wednesday 25 November at 2045. Or listen again via the BBC iPlayer. Carbolic smoke ball: fake or cure?